Stainless steel pendant, silver shade and patine, massive symbol of the royal lilly. 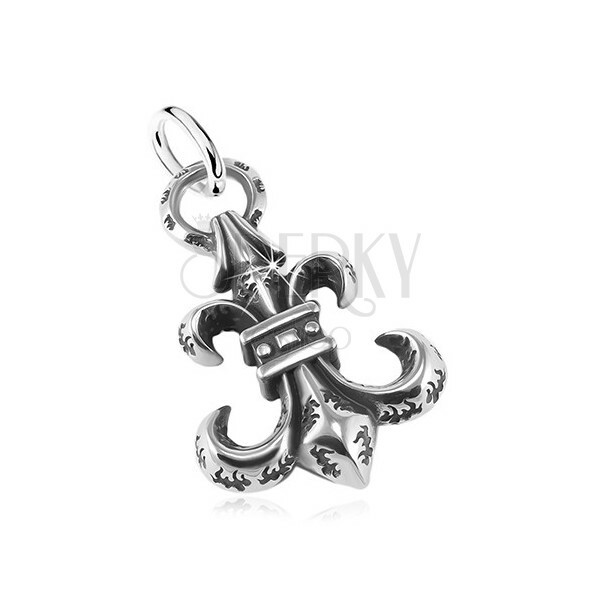 Steel pendant has silver colour and is made in the form of a big symbol Fleur de Lis that dangles on a circle. The pendant is decorated with a strong black patine. The eye for the chain is circular.